I’m sort of embarrassed to admit it but, for a good ten years, I hadn’t left the United States—all of my travel was strictly domestic. It was only last August that my parents gave me the go-ahead to renew my passport. Eager to take advantage of my ability to venture abroad, for the last few months, I had been searching for the ideal first trip abroad. Finally, after weeks of searching, I found the perfect itinerary for my first trip abroad in years. I’ve always been a fan of Richard Branson’s Virgin brand so, Virgin Atlantic’s Upper Class had always been fairly high on my bucket list. I never thought that I’d ever scratch Virgin’s Upper Class off my bucket list due to price constraints the airline’s limited route network. However, with a little research and some American Express points, I was able to book a flight in Upper Class from London to Chicago only having to pay the fuel surcharges. I’ll have a detailed posted about how I was able to do this but, by transferring American Express points to my Virgin America Elevate account, I was able to book an Upper Class ticket for only 25,000 Elevate points. This trip might go down as the best use of points and miles ever. 25,000 Elevate points allowed me to not only jet across the Atlantic Ocean but, also allowed me to access Virgin Atlantic’s award-winning Clubhouse, enjoy tasty meals at 35,000 feet, try out a new and unique seat configuration, visit an onboard bar, among others. 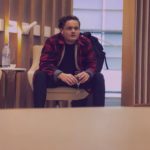 So, without further ado, here’s what it’s like to fly on Virgin Atlantic’s luxurious business class product, Upper Class. I arrived at London-Heathrow’s Upper Class Wing at 5:20(ish), which apparently is before the terminal is open. My Uber driver and I spent the next eight minutes waiting outside the security gate. To make matter worse, my Uber driver (whose English wasn’t the best) had to spell out my name to the Upper Class terminal attendants through the security gate intercom. Three minutes later, the Uber driver finally spelled my last name correctly, and I was on my way to check-in. Upper Class Wing: Up until my visit to the Upper Class Wing, the only (semi-) private terminals I had visited were American Airline’s Flagship Check-in areas at LAX, JFK, and Chicago-O’Hare. So, even checking in was an exciting experience. When my Uber pulled up to the private drive, the Upper Class bellhop and ticket agent were waiting for me. The bellhop brought my carry-on bags into the terminal while the ticket agent welcomed me to the Upper Class Wing and asked me some questions about my reservation to streamline the process. Upon entry into the Wing, I was surprised at just how massive and open the Upper Class Wing was. Upon entry, there stands a massive Virgin Atlantic Boeing 787 model aircraft, a waiting area, and bellhop stand while to the left stood the check-in desks. Check-in took roughly three minutes and then the ticket agent walked me all the way to the Business Class security screening area. I had to use the Business Class screening area as the Upper Class private security checkpoint hadn’t opened yet. Nonetheless, Heathrow’s Terminal 3 Business Class fast-track lane was empty, and I was the only passenger at the checkpoint. This was for the best as I had packed as if I was traveling within the US. It wasn’t until my bags went through the X-ray that I learned that I had packed way too many liquids. Thankfully, the security agents repacked my bags for me–something a TSA agent would never do. From the screening area, I killed some time in Terminal 3 while I waited for the Clubhouse to open. You can read my full review of the Virgin Atlantic Clubhouse at London-Heathrow here. Boarding began on time and commenced with Upper Class. I was the first to board as I was eager to get a few shots of the cabin interior. Additionally, this was the first time I’d ever taken a flight with a dual jetway system. I can’t believe that more carriers (I’m looking at you U.S. carriers) don’t use this system when operating widebodies. Boarding was seamless for all Upper Class passengers and for a full flight, took under thirty minutes. As soon as I got settled, one of the Upper Class flight attendants came around with champagne and orange juice. I decided to go with an orange juice which had the consistency and taste of fresh squeezed orange juice. Additionally, all three Upper Class flight attendants introduced themselves to me, and the purser gave me a brief introduction on today’s flight. I also requested pajamas which were promptly delivered to my suite. Also noteworthy, I introduced myself to the flight attendants and let them know that I’d be taking a fair amount of pictures of the cabin throughout the flight. The crew was very appreciative for my heads up. After two glasses of OJ, it was time to close the cabin doors. Virgin Atlantic VS39 pushed back from the gate and was on its way to the States. This was the first time I’d ever flown in an Airbus widebody, and I was pleasantly surprised by how smooth and how quiet the ride was. We took off from runway 27L and made our way over England and the southern tip of Ireland and then over the Atlantic Ocean. Once we reached 10,000 feet, flight attendants came around with crisps (chips) and drinks. Soon after, meal orders were taken, and hot towels were distributed to Upper Class passengers. As I always do when I try out a new airline, I explored the various amenities available to passengers. Each Upper Class passenger was provided with a pair of noise-canceling headphones, an amenity kit, Upper Class Dining menu, and had the opportunity to request pajamas. Additionally, there is a pretty extensive turn-down kit found behind each seat. I always bring along my own headphones, Marshall Monitor headphones. Since I had my headphones of choice with me, I didn’t even open the package to the noise canceling headphones Virgin Atlantic provided. They looked to be pretty standard. My favorite amenity, aside from the PJs, was the amenity kit. It wasn’t so much the contents of the amenity kit but rather the design and quality. The Upper Class amenity kit is designed by Herschel, a brand I truly love. My duffle bag and backpack are both Herschel. Following the flight, I now use the kit as a passport holder and document holder–it’s basically a man purse. The contents of the kit were pretty standard but definitely served their purpose for a seven(ish) hour flight. The kit consisted of socks, eyeshades, a pen, dental car kit, and some high-end lotions and lip balm. My all time favorite amenity that I’ve ever received on an airline is the pair of pajamas I was provided with on this flight. They were the perfect size, high quality, and unbelievably comfortable. I still wear them at home, and they’ve managed to survive four wash cycles without any wear-n-tear. Unfortunately, I passed on the main dish, so I don’t have a very extensive review of the meal service. I made the mistake of filling up at the Clubhouse just hours before. Still, the few meals and snack I did have were fantastic. The flight attendants were quick to take orders on the ground and began meal service thirty minutes into the flight. Flight attendants actually put on these stylish white aprons during the meal service. A white table cloth was placed on the generously sized tray table. Second, condiments and a bread basket were brought around. Shortly after that, the flight crew presented passengers with their first course. I decided to go with the curry chicken which was tender, flavorful, and overall fantastic. The chicken was cooked to perfection, and the curry was neither under nor overwhelming. I passed up the main meal service as by that point, I wasn’t remotely hungry. However, I did enjoy Virgin Atlantic’s port and cheese as well as their afternoon tea service. The port and cheese service was served just before dessert. The cart flight attendants brought through the aisle consisted of a few types of cheese, a variety of crackers and biscuits, and of course port. I love cheese, so I was quick to order my selection of cheese and crackers. I’d never had port, so I was hesitant to give it a try. The flight attendant told me that, “I needed to try it [port] and that it would be a shame to drink a Coke with such fancy cheeses.” So, I gave it a try. It was actually the perfect compliment to the cheese and crackers. I found the rich and bold flavor to be almost overwhelming, but nonetheless, I enjoyed my first experience with port. Tea service consisted of a beverage, sweets, and small finger sandwiches. The sandwiches were surprisingly tasty and moist, though, not soggy like many airplane sandwiches prove to be. The trio of sandwiches consisted of ham and mustard, tomato and basil, and a salmon salad. Again, the trio was great. Another feature that was absolutely phenomenal was the tea. The tea service on Virgin Atlantic included a vast selection of teas from shops based in the UK. Additionally, the tea was hot, flavorful, and widely customizable with cream, milk, and sugar available on demand. This is a far cry from American Airlines’ tea service on my flight to London the day before. Overall, the spread in Upper Class was pretty extensive with a la carte dining available on-demand. Throughout the flight, there were also a variety of snacks available at the bar. A major component of what makes Virgin’s Upper Class unique is the seat in they use. Virgin Atlantic uses a herringbone layout which is fairly atypical today. Most airlines have moved away from the herringbone layout which is sort of outdated and towards reverse herringbone or staggered seating. The most unique aspect of Virgin’s Upper Class seat is that the seat doesn’t recline into a fully flat bed but rather, folds out. This, unfortunately, means reduced recline when not in the fully flat position but, it does allow for the seat to be fully reclined even during taxi, takeoff, and landing. I found the seat to be among one of the most comfortable seats I’ve ever had in business class, not so much because of the recline but rather, the padding and cushioning. The seat was also fairly wide. However, it should be noted that row 9 (nine) on all Airbus a330s, lack a window, though, that doesn’t really matter as the seats are angled away from the windows. The seat controls were relatively simple. However, I found the table to be a bit complicated. The table retracts via a button which shoots the table out of a hidden compartment knocking anything in its path out of the way. Though I was also hesitant when operating the tray table, it has to be one of the widest tray tables in the sky. As for the in-flight entertainment, it was one of the better systems I’ve used in the past few months with a vast selection of movies and music, however, it did lack content on the TV side of things. There’s also a USB and AC outlet at each Upper Class seat, though, I wasn’t aware of the AC outlet until we were on final approach as the outlet is located under the seat unlike the rest of the controls. Over the course of the flight, I watched The Brother’s Grimsby and The Boss. Neither movies were great, but they were worth a few chuckles. I also revisited two great albums; This Is All Yours by Atl-J and AM by the Arctic Monkeys. I did take a moment to pull the bed out. It’s hands down one of the best flat beds in the sky. This is partly because of the turndown kit provided by Virgin Atlantic which features a very thick comforter, an equally as thick pillow, blanket, and thin bedspread. I have no doubt in my mind that I’d be able to get a full night’s sleep. However, it wasn’t needed as London to Chicago is a day flight and I was fully rested from the night before. Overall I really enjoyed Virgin’s Upper Class suite. One of my only complaints is that the seat is angled away from the windows which made it tough to peer out of the window (though I didn’t have a window at my seat anyway). Additionally, the seat could be a little wider. One of the most fantastic aspects of my flight was the crew. As previously mentioned, they personally welcomed be onboard and made small talk throughout the flight. They were polite, professional, and genuine throughout the entire journey. They made my first Upper Class flight enjoyable and memorable. They took pride in their work and were willing to help passengers whenever throughout the entire trip. Additionally, the paid attention to detail and were quick to refill drinks and offer snacks to passengers. I really can’t stress enough how great the entire crew was. Virgin Atlantic (as well as Virgin America and Virgin Hotels) has among the best and most professional employees in the world. Virgin Atlantic has one of the best business class products in the sky. This isn’t because of over the top amenities but rather because of how professional and welcoming their team is. The Upper Class seat is also a very unique seat with one of the best flat beds in the sky. Onboard dining was also fantastic, and the amenities were top notch. All of this combined with access to some of the best lounges of any airline make for an unforgettable experience. Of course, this all comes at a price, a price I didn’t have to pay. 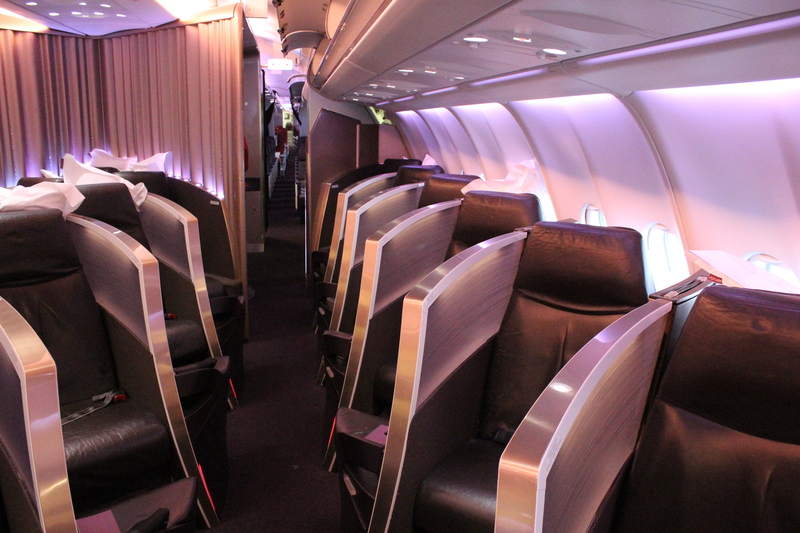 I’ll have more details on this soon but, Virgin’s Upper Class is more in reach than you’d think. American Express Membership Rewards and their transfer partner Virgin America allows you to score a seat in Upper Class for only 25,000 Elevate Points plus fuel surcharges. VS39 LHR-ORD This flight was rated on a scale of 0-100%. Anything below 50% is horrendous, anything below 70% is poor, 70% to 75% is below average, 80% to 85% is average, 85% to 90% is great, 90% to 95% is fantastic, while 95%+ is perfect. Super post. Really loved it. I’m about 30 years older than you but lots to learn. I’ve flown VA only once and my lounge and flight experience was superb. Your point on the crew is spot on – somehow they are much better than BA. I have never come across the “you must have Port instead of coke with these cheeses” comment elsewhere. Also nothing better than great English finger sandwiches. The only thing that can be better (as you point out) is seats are too narrow. 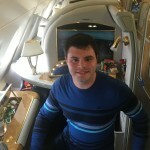 Great post – wonderfully detailed review of your experience on the Upper Class! Incidentally, my first flight across the pond was also to London via Virgin Atlantic (economy) and even then, I remembered having a great flight and thought the staff were friendly and professional. Looking forward to reading more about how you scored such a great flight/deal! Thanks for your kind words! Yep, I’ll have more info on how to redeem points for Upper Class in the coming days. That’s a good find on using Virgin America elevate points. Most of my friends and I use Delta skymiles to fly on VS Upper Class and have not even thought about Virgin America elevate. I did see you departed from LHR so I imagine the taxes/fees were probably around US$500. I’ll have a more detailed post about how to use Elevate points in the coming days. I personally find legacy programs to have very few deals like I found through Virgin but, I’m not a big Skymiles junkie. Yeah, I think taxes were $368 one-way.